Before reading on, please know the point of my post is not testing but instead the poor administrative decisions being made in its administration. In our school and district, testing is fairly uneventful. Since Smarter Balanced, our Department of Education has done a good job lessening assessment requirements across the state and I feel the environment around testing has gotten relatively better. We now have only one testing period, instead of three, during which students spend approximately a week (of just mornings) taking the tests, with their teacher, in their homeroom. Unfortunately, a school in another district was given the autonomy to treat testing much differently. This school year, one elementary school spent 1-2 weeks of precious instructional time to give every 8, 9, and 10 year old in the school a standardized interim assessment midyear. This assessment was not mandated by state. It was completely optional, however the administration at that school was given the autonomy to make the students take it. 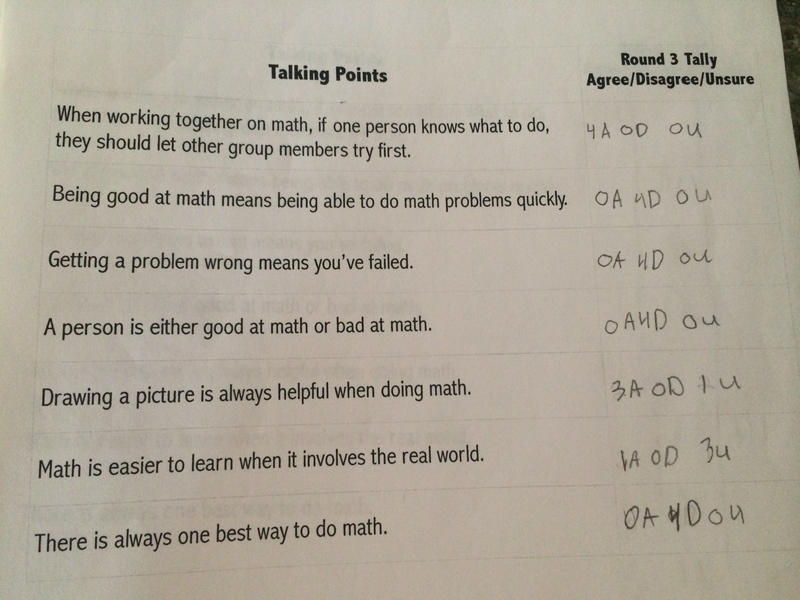 It was the only school in that district to give this assessment. Based on that assessment each 8, 9 and 10 year old in that school was given a score of 1, 2, 3 or 4. Little did the students know, that score defined how they were grouped from that point forward. The scores were used to group or re-group students for building mandated test preparation for one to two months before they took the spring test. As if each student associating their academic ability with a number was not bad enough, when spring testing began, every other student in the class knew that score as well because they were pulled to test by that score. This is where the standardized test becomes quite un-standard. 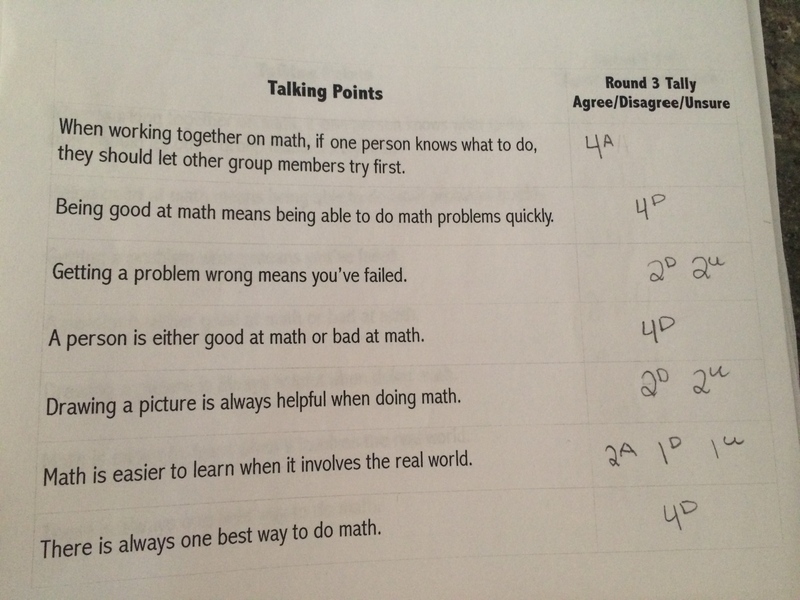 Students in that school were tested in groups based on those interim scores First the 4’s, then the 3’s, then the 2’s, and I am assuming the 1’s were left for last to allow for more test prep time. I can only assume the administration believes there is no harm being done to children administering a test in this manner or why else would they do it, right? There is no way they can think this is bad for students’ mindset and image of themselves as learners or they wouldn’t keep doing it, right? And, worse, what if the superintendent found out, investigated, and did not see enough wrong with the situation to bother changing it immediately? The most heartbreaking piece was hearing what students were saying and doing…. 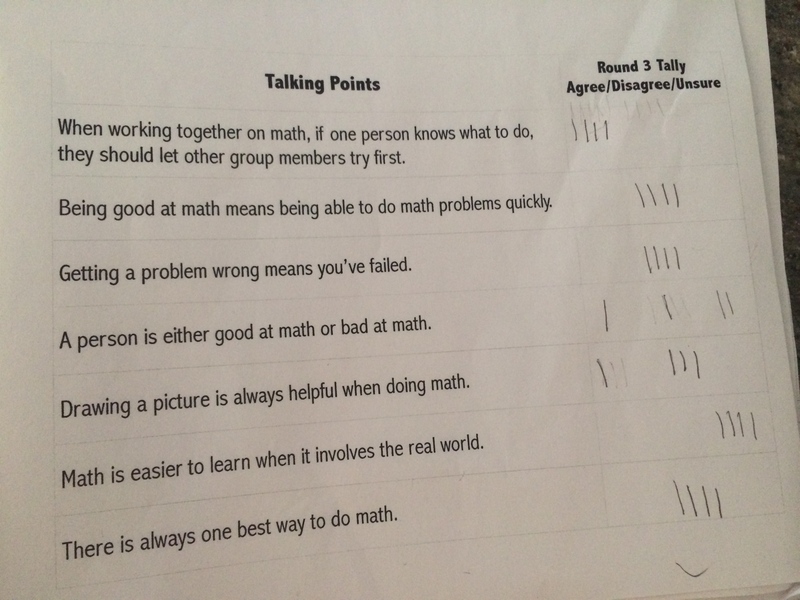 An 8 yr old gets sent to the nurse with what seems to be a panic attack after being given the 4’s pep talk before taking the test. Not to mention, she has a pre-existing heart condition after having heart surgery at 2 weeks old. Upon picking her up from the nurse’s office, the parent was told by the nurse to take the child immediately to her pediatrician because she was stark white with an incredibly high heart rate. And these are only from three students, can you imagine if you collected them all? After hearing this, I was thinking to myself, there is no way the superintendent would ignore my concerns of such blatant disregard for students’ well-being and emotional safety in a school when brought it to his attention. Wait…I cannot be an advocate for children if they are not mine? Isn’t that all part of being an educator? Standing up for what is best for them? Any and All of them? Maybe that is the problem here. They are not the administrations’ children, so why care what is happening to them? I have been teaching for 20 years, not one student has been my child, but I cared about them as if they were. After three weeks of ignoring my requests, a family member who has children in that district requested a meeting for us. She had previously met with the building administration about this same testing situation so she was invested in this situation. Upon her request, we finally got a meeting date with the superintendent. Before the meeting, I was still hopeful for change. That was, until we arrived for our scheduled meeting and was told by the curriculum director that the superintendent was meeting with someone else at the moment but we could go “get him if we have any questions.” Really? We waited 3-4 weeks for a meeting and he isn’t there when we explicitly requested he be there? We said we would wait and after the 10-15 minute power trip wait, he finally showed. The parent started with the firsthand student accounts described above, accompanied by quotes from her children in regards to the teacher testing “pep talks.” It was gut-wrenching as she held back the tears that come when talking about your children. It was so disheartening and equally as infuriating to see the smirk and hear the chuckle that came from the superintendent as if to convey the “Oh, the silly things kids say” message as the parent spoke. I felt me heart actually beating out of my chest at that moment. How could he not be infuriated by this happening in one of the elementary schools in his district? How did he not feel responsible? How could he give autonomy to a building principal who is so obviously not doing what is best for students? After establishing the principal had not communicated any of these testing procedures to parents and told blatant untruths about other related items, the meeting continued to be about all of the great things the principal says he is doing to ensure the students do their best on the test, you know, for the student’s sake. Are we really trying to convince ourselves that the test score is not more about the school looking good than the child’s testing pride? Then the blame game began. I was also told that the teachers in that school requested to give the interim assessment so the principal agreed. So, what, not his fault? Am I to believe he accommodates all of his teachers’ requests as willingly? After hearing that the building administration “didn’t mean to make the students feel bad,” I couldn’t listen to one more thing. There is too much information out there to use that excuse…you didn’t mean to? Are you kidding me? It unfortunately ended with the superintendent not being about to assure us this would not happen again next year. He said “we could expect change” but could give no specifics. That is not good enough for me since also finding out that this same issue was brought to his attention last year with no changes. Fortunately, there are so many wonderfully caring people surrounding this principal and superintendent that I have talked to, that I DO believe these testing/grouping situations will not happen again next year. The saddest part for me was the dismissive, “my school/district, my way” nature of this principal and superintendent. I am embarrassed for them as educators in this situation. As teachers, we want to empower our students. We want them to have a voice, share their thoughts and opinions, feel as if they can take control of their given circumstances and make change. However, as adults the harsh reality of what is really like to make change in education leaves us, at times, feeling powerless, like our hands are tied. Oftentimes it is because we don’t want to be THAT parent or THAT teacher, afraid of the repercussions for our children or ourselves in the workplace. Sadly, I find myself in that place. Knowing this is wrong for students, wanting to make a change, fighting to do so, yet feeling like I am the one in the wrong because I am calling out bad practice. It truly is insanity and this superintendent had the opportunity to make it right and he didn’t. Sad. I truly always believed if people in education could not answer, “Why are we doing this?” with “Because its what is best for children.” then it would indicate a needed change. 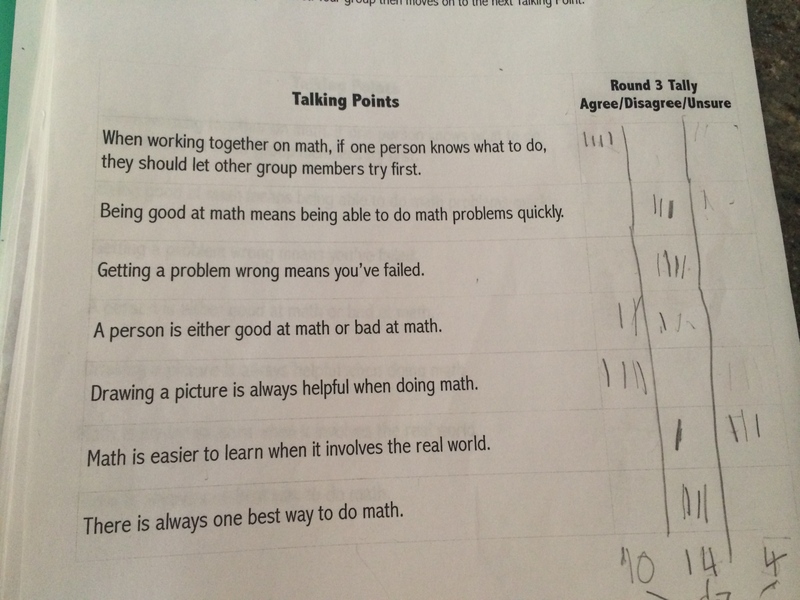 This entry was posted in Mindset, School Climate, Testing, Uncategorized on May 9, 2016 by mathmindsblog. I could really post all of them, because I just think my students are the coolest, most honest people I know, but for the sake of time, I chose two to reflect on tonight because I think it says a lot about what I hope students leave my class thinking about each year…. This is exactly why I started the Class Claim wall! I SO love that this student enjoys proving why things work, and even better that she started the sentence with the word “Actually,” like it was not expected! 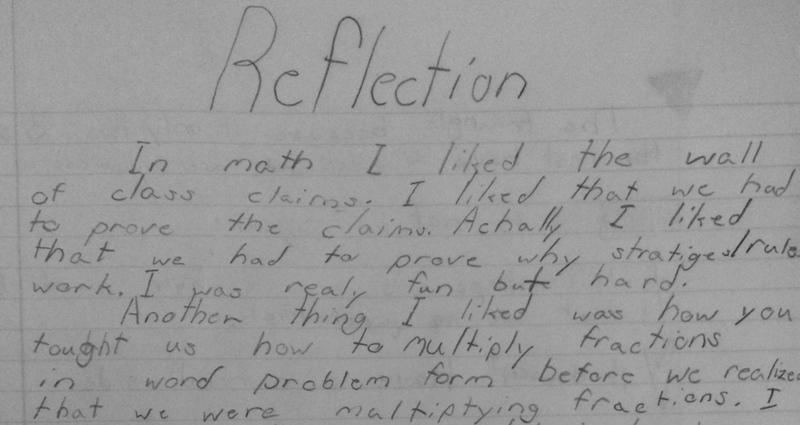 I also think it is so awesome that she said multiplied fractions before she even realized she was multiplying fractions! It makes me feel so good about all of the planning and work for the cornbread task which launched this unit. 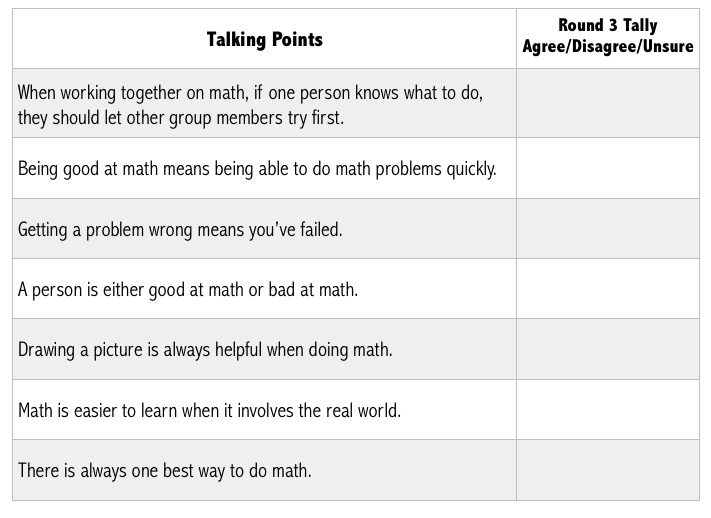 This is exactly what I want, curious students who work to explore their ideas and strategies and learn the processes of “doing math” without knowing there are procedures in place to do exactly what they are doing. 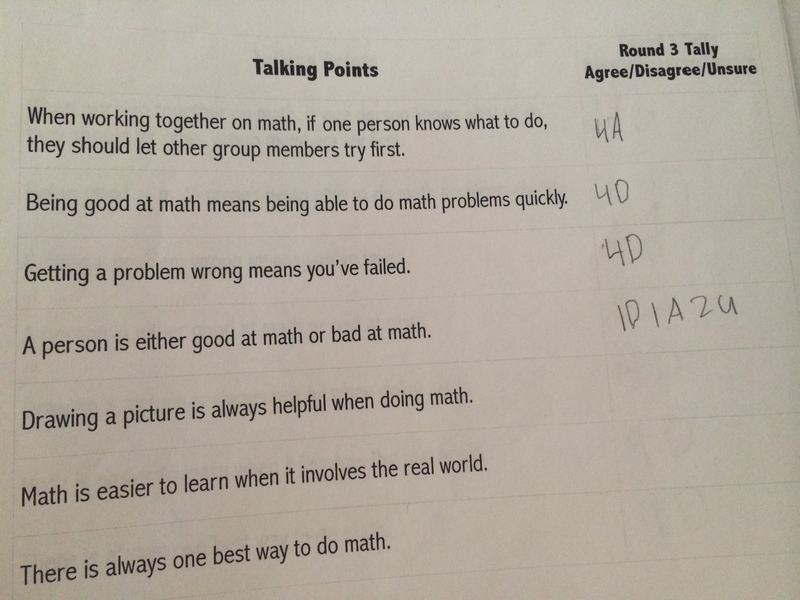 I want them to see the “hard” math work they do as fun and an invaluable part of their learning. They would probably be very surprised to find out that they make me do all of these same things before, during and after each lesson…. 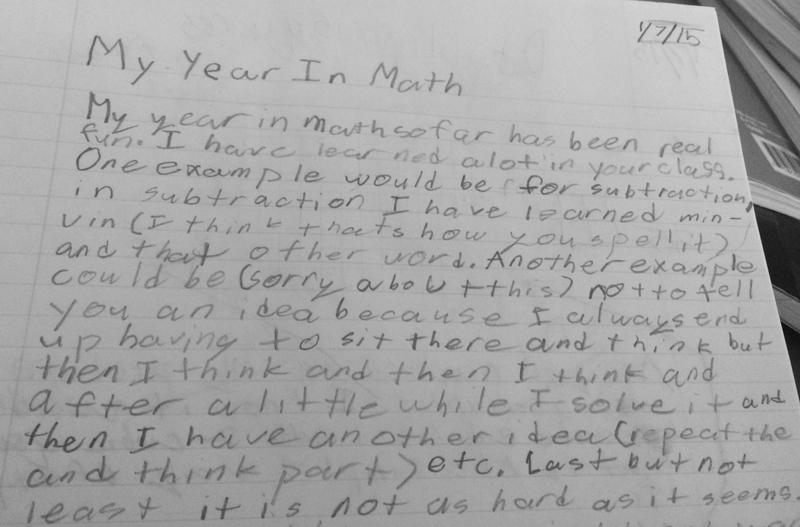 This entry was posted in 5th Grade, Journals, Mindset, Uncategorized on January 13, 2015 by mathmindsblog. I used to love the word “smart.” To me, it had such positive connotations…Who doesn’t want to be thought of as smart? Who doesn’t want to think of their children as “smart”? Who doesn’t want their students leaving their classroom “smart”? Right? 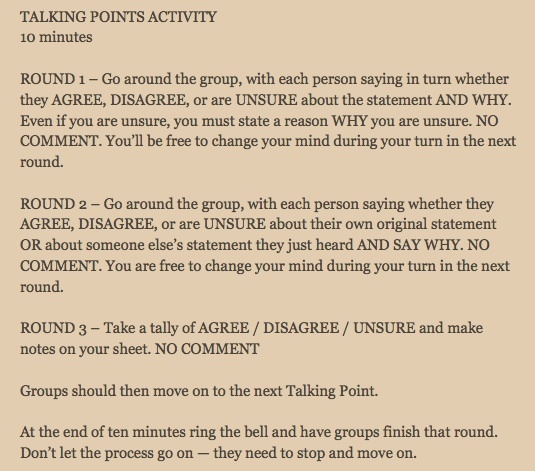 It is heard repeatedly in reference to students in parent conferences, PLC meetings and such. It felt like such a typical word, until now. I work very hard in my classroom to believe in the power of yet. There are no longer students who know something vs those who do not. It is now students who have learned something and those who have just not learned it…yet. (Great read on that: http://www.mathsolutions.com/nl44/feature-article.html I am also trying very hard to take that perspective with teachers as well. I now am much more thoughtful in my conversations with not only my students but with colleagues/parents/administration and the impact of the words I use. I focus my words on the work, not the person. In my class, we are not “smart or not-smart”, we are all learners. This belief that I have made part of my being as an educator was truly put to the test the other day. My students were presented with information on a program meant to help students with organization and study skills be more successful. Ok, not really what I believe makes students more successful, but they had to go, so I sat with them and listened. I could possibly write a dissertation on everything that was wrong with the presentation from my perspective, however the heart of the problem was the mindset of the person presenting. If I had to hear the word “Smart” one more time in that 20 minutes, I was going to explode. And every time the word was used, it was in connection to grades and state test scores. As my stomach turned and knotted, I wanted to yank my entire class out of the room. I saw all of my work in trying to move every student from fixed to growth mindset slowly circling the drain. It finally brought tears to my eyes (melodramatic, I know) when one little girl raised her hand and asked, “So do we have to have straight A’s to do this?” and the presenter responded with something to the effect of “the students in the program now are smart and have mostly straight A’s, but she understands if a “C happens sometimes.” So, this little girl who would have truly benefited from just some extra attention at school, but does not have straight A’s (whatever that really means) was deflated. What message was just sent by those words? Now does she think she is not “smart”? Now does she think she is not “smart enough” to get in? At that point I could not contain myself, I raised my hand and addressed the group, and the presenters. I would love to quote my exact words, but I was so frustrated by that point, I do not even know the exact words that came out of my mouth. I truly was focusing on trying not to say anything rude to the presenters while making a point to the students. 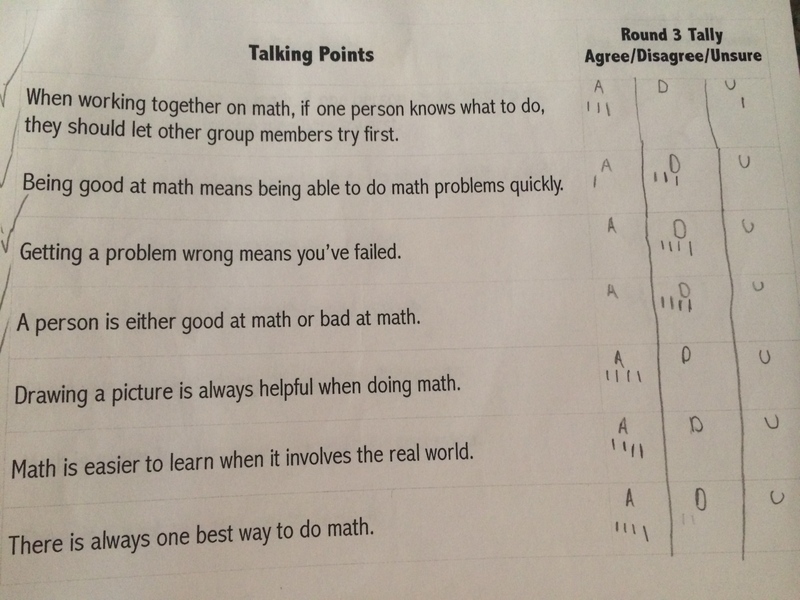 I can tell you it was something like this…I had to tell the group that their grades/test scores do not define them. That everyone in the room can learn, grow and improve in anything they persevere through. That I see them working hard, working together and learning every day and those things will be invaluable as they go through life. Smart is not something you are, so please do not leave here thinking it is. A sincere thank you to the people in my PLN who have a growth mindset. I continue to learn from you every day and my students are so much better for it! 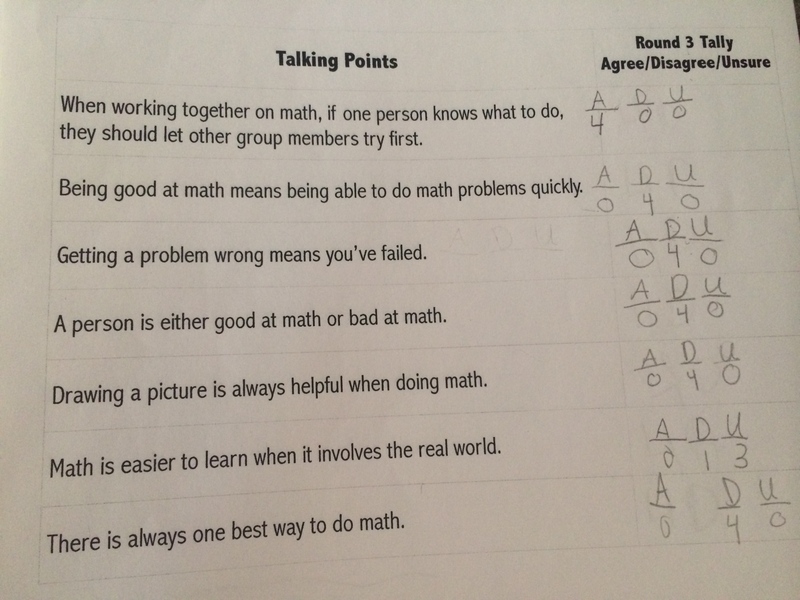 This entry was posted in Math, Mindset on February 8, 2014 by mathmindsblog.